Saving money and eating healthy is hard. But having the right tools is a GAME CHANGER. While there are at least 8,435,346,213 Menu Plan printables out there, I never found one that I didn’t have to change somehow. Since everyone is different, maybe you’re like me and need something new. I have 2 options here for you. They are both specifically designed for people who are trying to save money and eat healthy. 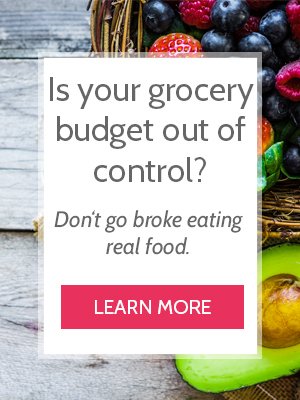 Slash your grocery budget and feed your family real food. You CAN save money and eat healthy. I know because I’ve been doing it for 10+ years, and I want to help you do it too. Since many of us pack lunches or eat leftovers for lunch, this second menu plan has a weekly lunch section instead of daily, so the daily boxes are neat and minimal. It’s my preferred way to menu plan. If neither of these work for you, try this free simple menu planner from Humorous Homemaking! Pin this page to save it or share it!